Local Authority searches are an essential part of the home buying process. The information they reveal can be use to renegotiate your offer and may even make you pull out of the purchase. They are also required by mortgage lenders. But what do local searches include, how long do they take and how much do they cost? Here's everything you need to know. What’s included in a local authority search? The form also covers planning agreements and conditional planning permissions. All LLC1 registrations are legally binding on successive owners. The second part of the search – the CON29 – supplies information relating to public highways, proposals for new roads, rail schemes or planning decisions that could affect the property, as well as outstanding statutory notices, breaches of planning or building regulations or the existence of a compulsory purchase order. Environmental factors, such as whether the house stands on contaminated land or in a Radon gas affected area are also covered. What isn’t included in a local authority search? There are a number of additional reports that are not covered by the standard local authority search and are therefore subject to extra fees. The need for such searches will be determined by your conveyancing solicitor or mortgage lender on a case-by-case basis (although some are considered essential by certain lenders). Chancel Repair reports (to determine if your property is liable for church repair contributions). It’s worth noting the additional searches, such as mining searhces, flood searches and energy and infrastructure searches are determined by the locality of the property, rather than just the conveyancer or lender. For example, a mining search may be required if the property is in a mining area (rather than because the conveyancer or lender insist one is done in every case). What’s the difference between official searches and personal searches? There are two different types of land authority searches- official or personal. The ‘official’ method involves sending forms directly to the local authority where a search is conducted by a council staff member from the Local Land Charges Register. This is then signed and stamped by a council officer. The ‘personal’ method is conducted by an external agency unaffiliated with the council and working ‘independently’ from the same Register. In many cases, these searches are quicker and cheaper than an official application and are covered by specific information accuracy insurance policies as well as employer error liability. As a result, many conveyancers recommend personal searches, although debate within the industry still rages as to which is best. Some solicitors believe that an official search places greater emphasis upon comprehensibility, local authority liability and regulatory Search Code compliance over speed of return. Nevertheless, most industry veterans agree that the standard and accuracy of personal reports has risen substantially in the past decade and argue that reputable, commercially aware search companies often provide a greater level of control, accountability and flexibility than council searches (as well as financial and time saving benefits). The rule of thumb in such cases should be to consult with your conveyancing solicitor and consider all possibilities. In any case, whether an official or personal search is done is often determined more by the mortgage lender. The conveyancing solicitor will have to check the Council of Mortgage Lender’s Handbook to see which searches the individual lender accepts. How much will a search cost? Fees are subject to a wide range of variables. If you have chosen a local authority search for example, you could be charged anywhere between £50 and £250 depending on the local authority. Additional fees also differ accordingly, so be sure to consult your local authority website, but on average drainage reports will cost between £30-40 plus VAT, whilst environmental reports cost between £30-35 plus VAT (for example). Private search company fees usually range between £75- £120 for a standard search. Alternatively, you could purchase a fixed fee ‘bundle’ package from your conveyancing solicitor to cover the four main report criteria (Local Authority, Drainage and Water, Environmental and Chancel reports). These usually cost around £200-260, but the main advantage is that they will cover local authority costs even if the combined total exceeds the paid fee. You can also conduct a personal search yourself for free, but this is not recommended as local reports require specialist knowledge to execute a search properly. There are a few factors to consider before taking your Local Authority report at face value. Firstly, it is important to remember that local searches are often relevant to your property or street alone and might not cover developments located a short distance away (or even next door). Reports can vary, so always be sure to check the area remit of your search or make additional enquiries at your local council. For example, you can search most planning applications by postcode on the local authority website for the area in which you are buying. Secondly, it’s worth remembering that any planning proposals submitted after your search will not be covered. Do I need to get a search if I’m a cash buyer? Cash buyers do not necessarily have to conduct a search but most conveyancing solicitors will recommend that they do so. If the client elects not to carry out local authority searches then the conveyancer may recommend No Search Indemnity Insurance as an alternative. 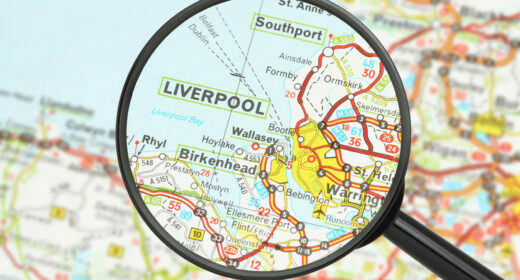 How long do local authority searches take? The timescale on searches can vary significantly, from 48 hours to six weeks! Mitigating factors can include whether the results are sent via email, online or by post; seasonal demand levels and (most importantly) staffing levels.